A summing up and a personal word on my own experiences of Catholicism. I hope that you, the reader, have found this short introduction to Roman Catholicism worthwhile and useful. It serves as a simple introduction to what is a vast subject. This is my personal reply to Dave Armstrong’s article My respect for Protestants. Dave is a former Protestant, now Catholic who has written several books on Catholic apologetics. Please check out the link for further information. Dave’s words are in bold and my reply follows. The increasing secularisation of our society and decline of Christian belief in some parts of the West has meant renewed calls for evangelism amongst Catholic and Protestant alike. I admire conservative, Orthodox Catholicism. I admire it for its stance against pluralism, secularism and relativism, amongst other things. Yes, Protestants can learn from Catholicism ! One way in which this could be done is a greater appreciation of our shared Christian History. History should draw us together, not apart. History should teach us that God’s spirit has worked in the church since its inception. The Spirit never deserts the church, it is present within, drawing us into the heart of God himself. That is the exciting part ! Truth is truth, wherever it is found. This must be acknowledged and indeed, emphasised. The respect that is due then, I believe flows naturally. Absolutely – and the discovery that Protestants and Catholics have so much ‘common ground’ should come as no great surprise to either party. It is my sincere belief that we need each other. I totally agree. Our disagreements should never lead us to lose sight of our common understandings, as part of the body of Christ. 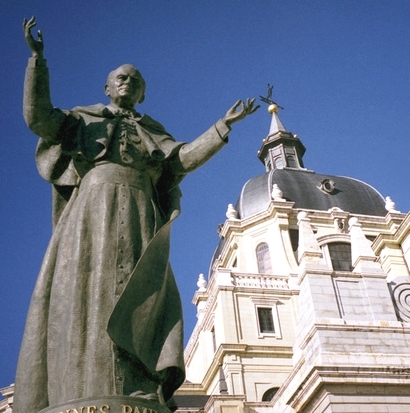 Statue of John Paul II, Catedral de la Almudena, Madrid. What is my own personal experience of Catholicism ? My personal experience of Catholicism stretches back some 5 years: from attending Mass occasionally, to visiting the Marian shrine at Walsingham and reading Catholic books such as the The imitation of Christ*. I have received much warmth and friendliness from many Catholic believers and have seen the undoubted devotion to God within many of them. What began for me as a journey of understanding, still continues today. 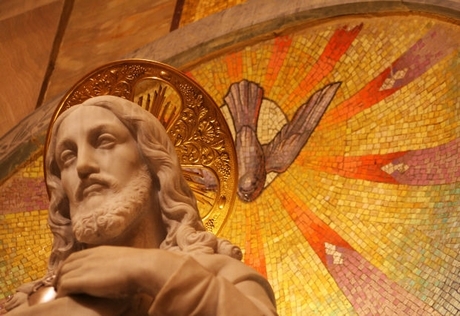 I am and expect to remain a Protestant, yet I have opened my heart to a greater understanding of the Catholic church. I welcome ecumenism, as I do the sharing of common worship and prayer. * The Imitation of Christ is a spiritual classic and one of most popular of all devotionals. Written by Thomas a Kempis (c.1380-1471), it describes how a Christian should seek to achieve spiritual growth by learning from Christ’s example. A full copy of the Imitation is available for download in PDF format (file size 652K). To view the file, you will require the free Adobe Reader. To download, right click and choose “Save Link As…” or “Save Target As…”. Perhaps a defining moment for me occurred with my discovery of the general rule that non-Catholics are not allowed to receive communion in a Catholic church. There are a few exceptions, such as grave illness, but the general rule is that so-called intercommunion between Protestants and Catholics is forbidden. This whole issue was my launchpad – what is the rationale behind this exclusion ? Well, in the section ‘The Sacraments’, we saw that the Mass is of vital importance for all Catholics – it is the supreme sacrament, and like all sacraments, it conveys grace to whoever participates in it worthily. The Reformation resulted in divergent ideas about the presence of Christ in the Eucharist and a general rejection of the Catholic beliefs around it. The Catholic church views the Eucharist as a sign of unity of belief and practice, so simply put, those who are not in full communion with the church cannot participate in it. This view is also taken by the Orthodox churches. Both Catholics and Protestants may find much to disagree on, but they agree on what C.S. Lewis termed Mere Christianity. The last 30 years or so has seen a great deal of work in promoting a shared understanding in this area. Let us focus on our shared heritage and realise that in Christ, our hope is found. Jesus’ own prayer in John 17 provides us with something to start from. John 17 is a prayer for unity – a unity grounded in Christ. With that in mind, I thoroughly recommend the Catholic Stations of the Cross as a form of meditation and reflection. Perhaps the most remarkable event in recent times regarding Catholic and Protestant relations was the Vatican II council (1962-5), which did much to foster the attitude of mutual respect and understanding. 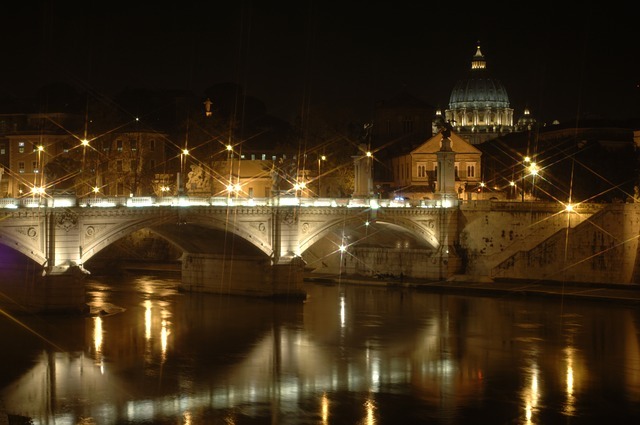 The Vatican II documents are all available online. I believe the words below from John Wesley sum everything up and are a lesson for all Christians, no matter what their differences. Wesley had an excellent friendship with Richard Challoner, a well-known Catholic prelate and contemporary. Extract from John Wesley’s Ecumenical Letter to Catholics, 1749. We are all part of Christ’s body, brothers and sisters for whom Christ died, and for whom love has been revealed in a wonderful way.